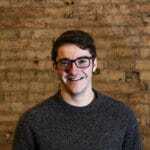 Eliott is the founder of Contrast and an SEO consultant based in Nottingham, UK. Elliott’s background originates from sport at a young age he got involved in Canoe Slalom. Having done this until recently and reached a high level of international standard he knows the time and dedication it takes to become the world’s best. Having also worked in digital marketing industry both agency side and as a freelancer over the last 5 years. More recently over the last year and a half, his freelancing business has taken off and he’s been to scale this up into a boutique eCommerce agency that is Contrast. Bricks and mortar stores like Arb and grounds where he helped them increase their organic traffic 553% and in turn generate them an extra £100,000 in turnover. 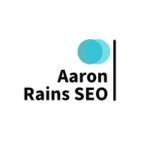 At a national level, he’s worked with companies such as MultieOne where he recovered a 50% drop off in organic traffic within a 2 month period. All the way up to running the whole marketing operation for a software development agency called Made Tech. Elliott is the founder of Contrast and a digital marketing consultant for hire. On a personal note, Elliott enjoys adventuring around the world and participating in kayaking, skiing, and many other adrenaline-fueled sports.